Disabling May Lead To Unexpected Shutdowns On iPhone? Is It True? 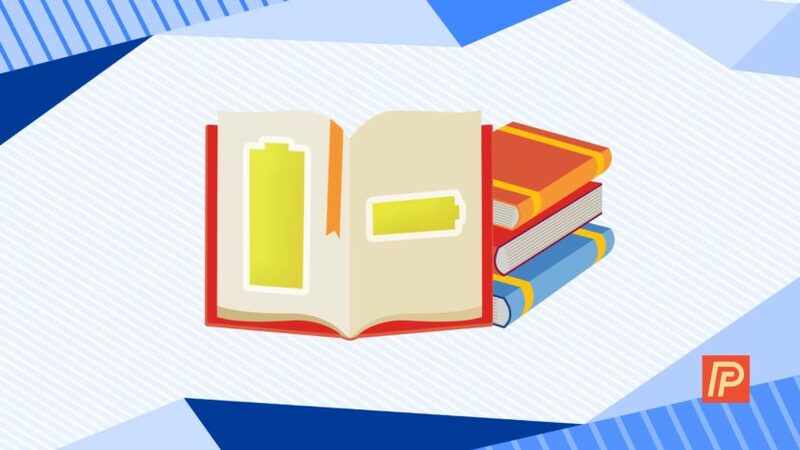 You are at:Home»iPhone»Battery»Disabling May Lead To Unexpected Shutdowns On iPhone? Is It True? By now, you’ve probably heard that Apple slowed down older iPhones in order to conserve battery life. If this affected you and made you angry, don’t worry — you can now right this wrong. 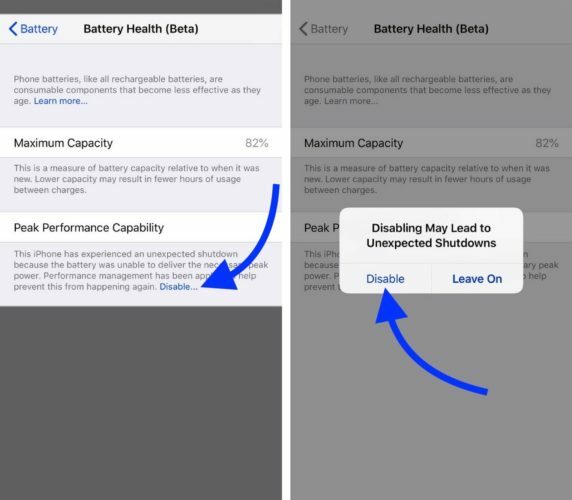 In this article, I’ll explain what’s in the new Battery Health section of the Settings app and show you how to disable Performance Management on your iPhone! In the wake of the announcement that they slowed down older iPhones to spare battery life, Apple has been working on a new “Battery Health” section of the Settings app. The Battery Health section was introduced with the iOS 11.3 update, which was released on March 30, 2018. The Battery Health section of the Settings app displays your iPhone battery’s maximum capacity and gives you the ability to disable Performance Management. Performance Management is the now notorious setting that slows down your iPhone in order to make its battery last longer. This feature was secretly implemented when Apple released iOS 10.2.1, but iPhone users didn’t have the ability to turn it off — until now. If you update your iPhone to iOS 11.3, you’ll have the ability to disable Performance Management in the Settings app. To disable Performance Management on your iPhone, open the Settings app and tap Battery -> Battery Health. Under Peak Performance Capability, you’ll see a very small Disable… button. After tapping Disable…, a very scary pop-up will appear on the screen saying “Disabling May Lead To Unexpected Shutdowns”. Don’t be afraid — tap Disable and turn off Performance Management. What If I Don’t Have The Option To Disable Performance Management? It’s possible that your iPhone battery is in perfectly good health and that Performance Management was never turned on. This was the case for me, as my iPhone’s battery still has a maximum capacity of 94%. If you don’t see the option to Disable…, your iPhone was never slowed down by Apple! Will Disabling Performance Management Lead To Unexpected Shutdowns? The truth is that disabling Performance Management could lead to unexpected shutdowns, but unexpected shutdowns are pretty uncommon. We surveyed our iPhone Help Facebook Group to get a feel for how regular iPhone users were being impacted by unexpected shutdowns. More than half of our respondents said they’ve never experienced an unexpected shutdown on an iPhone that was affected by the battery throttling update. Furthermore, we can’t be entirely sure whether or not those who experienced unexpected shutdowns did so because of their iPhone’s battery performance. When Payette Forward Founder David Payette worked at the Apple Store, he handled thousands of iPhones, many of which were put through Apple’s standard battery test. This test is designed to determine whether or not a battery is capable of performing an iPhone’s essential functions. In all his time at the Apple Store, only one iPhone failed the battery test. This leads us to believe that unexpected shutdowns aren’t as big of a deal as Apple is making them out to be and that they may have had other motivations when deciding to slow down old iPhones. If you’re concerned about your iPhone’s battery health and performance, you may want to consider getting it replaced. Apple is offering $29 battery replacements to anyone with an iPhone 6 or later, if that iPhone was impacted by the battery throttling update. Unfortunately, this offer isn’t extended to iPhone 5s, who may have also been affected by Apple’s speed-throttling update. Before heading to your local Apple Store, take this into consideration: if something else is wrong with your iPhone (e.g. screen cracked or damaged port), Apple won’t just replace its battery. You may also have to pay for repairs to the other damaged components as well, which could turn your $29 battery replacement into a repair that costs hundreds of dollars, especially if your iPhone isn’t covered by AppleCare+. If you want to get your iPhone battery replaced by Apple, set up an appointment at the Apple Store near you and take it in at your earliest convenience. If you don’t think the Apple Store is the right option for you, we also highly recommend a repair company called Puls. Puls is an on-demand repair service that sends a certified technician directly to you in as little as an hour, whether you’re at home, work, or your favorite local restaurant. A battery replacement from Puls will cost a more than Apple’s special $29 offer, but you can save 10% on your repair by using the Puls coupon code PF10ND18. All Puls repairs also come with a lifetime warranty. 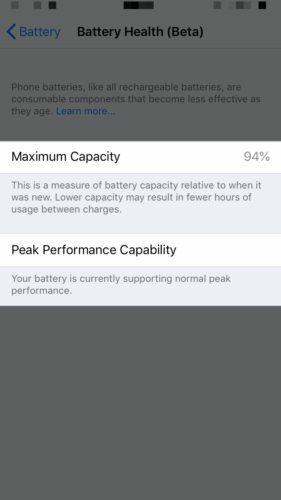 I hope this article helped you understand the new Battery Health section of the Settings app and what Performance Management does to your iPhone. Make sure to share this article on social media so your friends and family can speed up their old iPhones again too! I’d love to hear from you in the comments section below — did disabling Performance Management cause unexpected shutdowns on your iPhone? Previous ArticleMy iPhone “Cannot Connect To App Store”! Here’s The Real Fix. Next Article iPhone Cellular Data Not Working? Here’s The Real Fix!